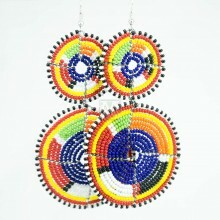 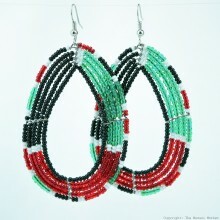 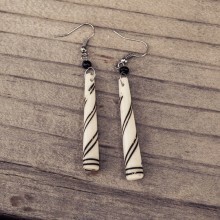 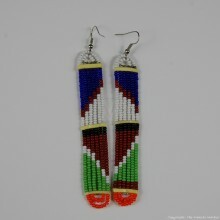 These beautiful earrings are handmade in Kenya out of cow bone. 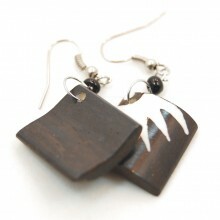 They are hand carved, polished and batiked with the unique print. 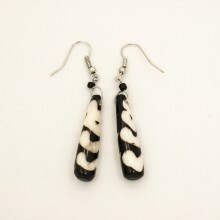 Its a tedious process to make these batik print earrings. 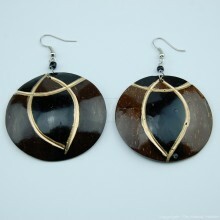 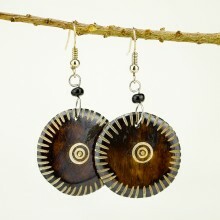 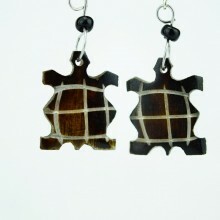 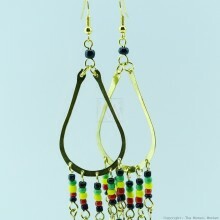 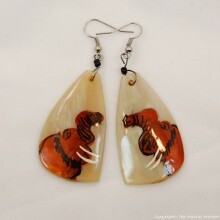 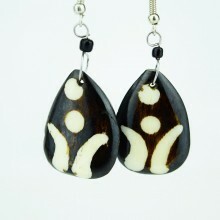 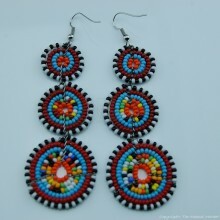 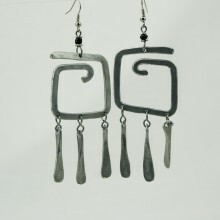 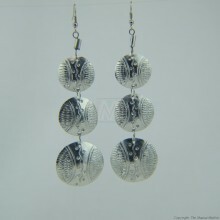 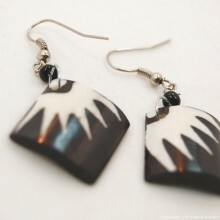 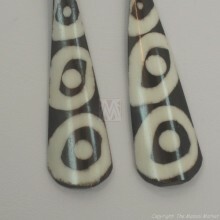 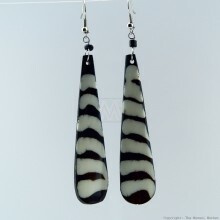 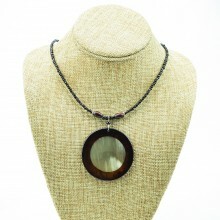 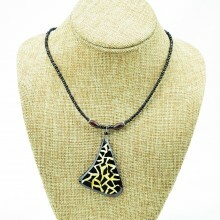 First the dangle is hand carved from cow bone to the desired shape and size. 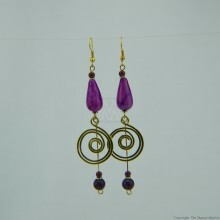 Then the print is drawn, wax is applied to the parts that are not to get the dye. 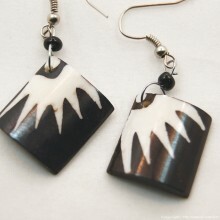 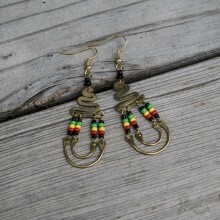 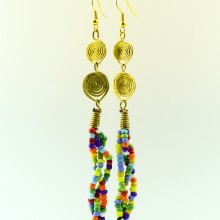 Its is then dipped in the dye and after its dried the wax is removed to result in a unique batik print like the one on these earrings. 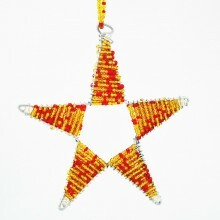 We have a few of them so the one you will get might look slightly different since they are handmade. 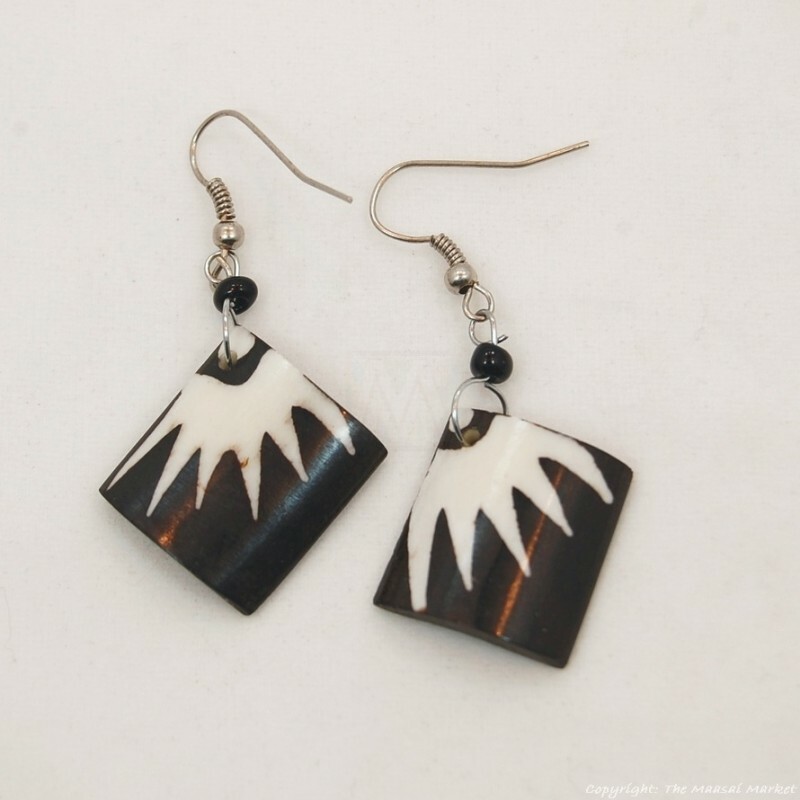 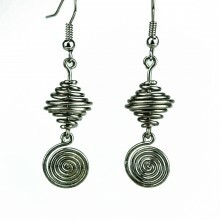 Purchasing our jewelry helps sustain the artisans that make them for a living.